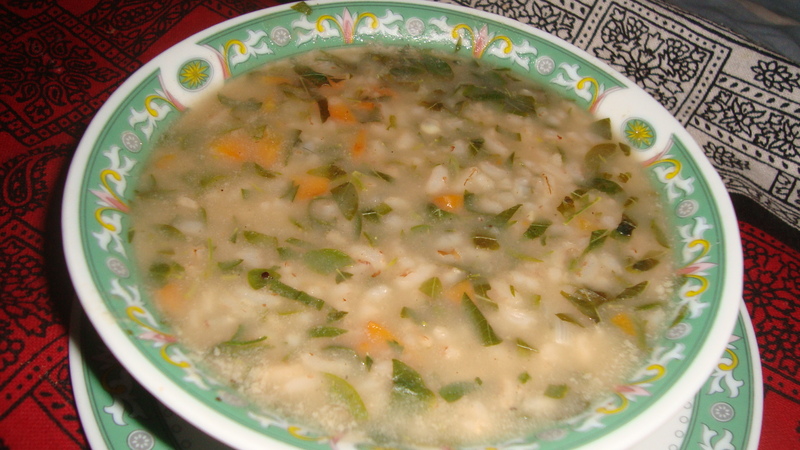 The second recipe I would like to share today is my mother’s murungai ilai recipe. 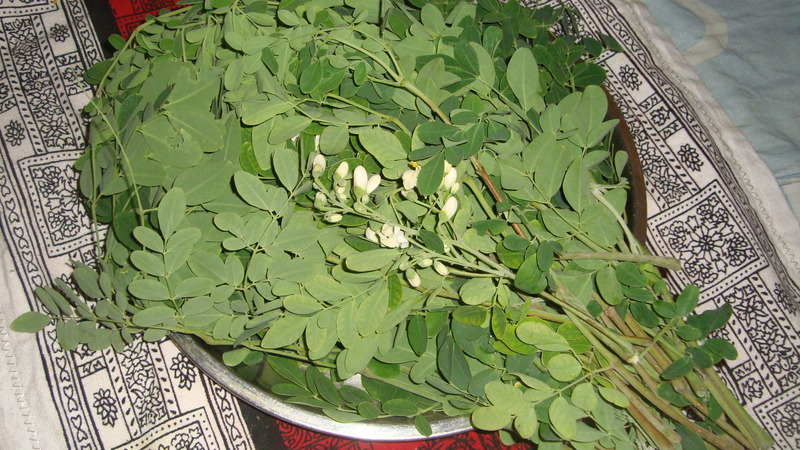 Rich in iron and calcium, murungai (moringa oleifera) is very much part of Jaffna cuisine. 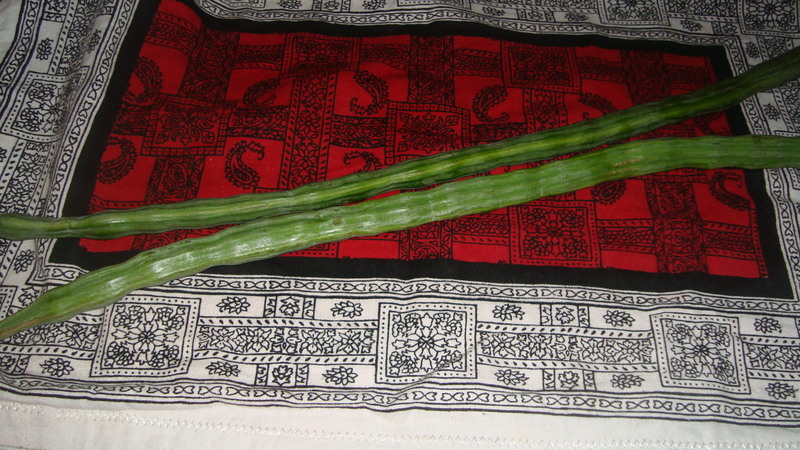 Wash and clean the bunch of murungai ilai. Extract the leaves from the stalk. Drain off the water and chop the leaves finely. Sprinkle with salt and keep aside. Heat 1 tbsp of sesame oil in a pan. 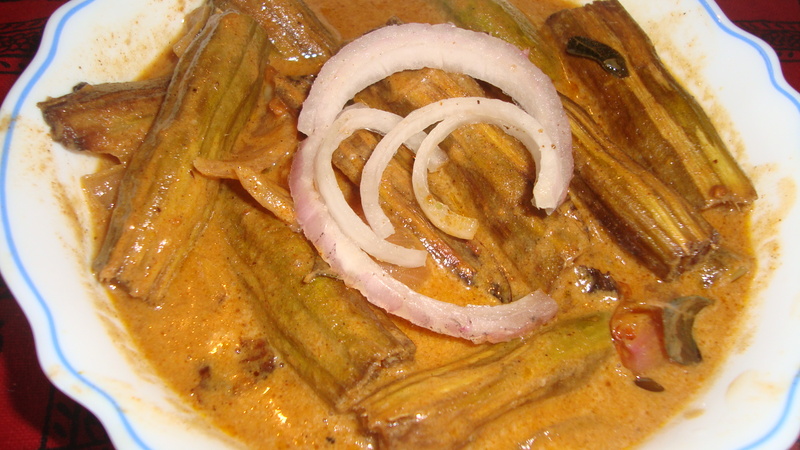 Saute the chopped onion, green chillies and curry leaves with fennel seeds. Add the salted leaves to the pan. Increase the heat and stir fry for about 10 mins. Now, add the freshly scraped coconut and curry powder or pepper and mix well. Continue to stir fry for another 5 mins before emoving from heat. 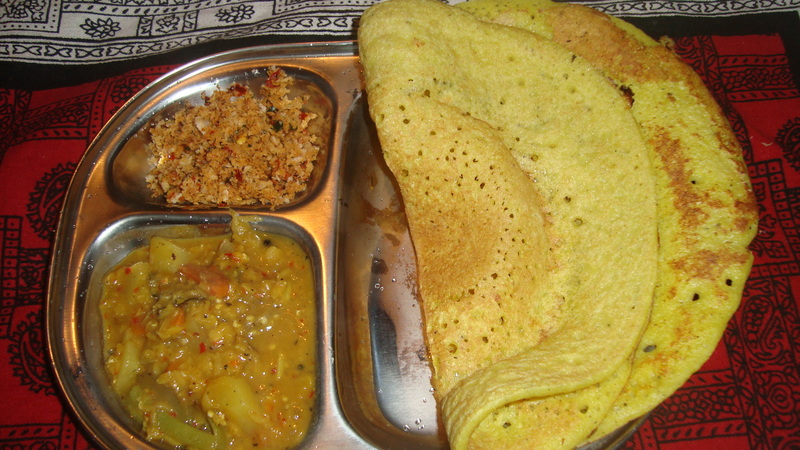 This is my mother’s recipe and this is the way she makes drumstick curry often at home. It is delicious. Cut the drumsticks into 2 inch pieces and clean by scraping lightly the skin. Deep fry drumstick pieces, till they are lightly browned. 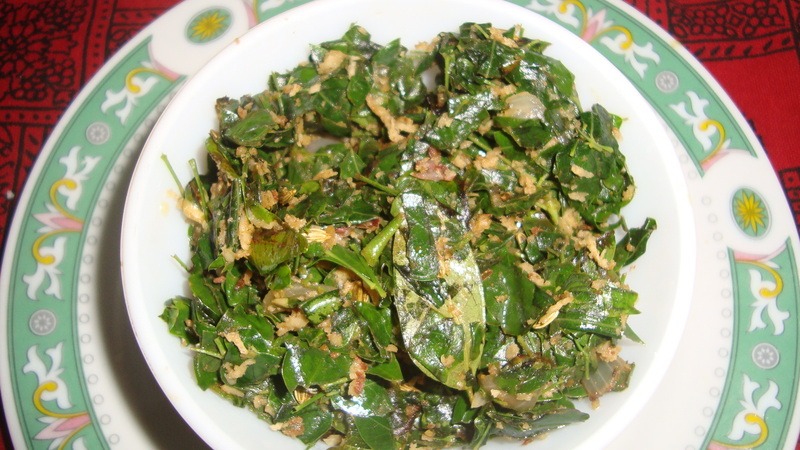 In a pan, heat a little oil and sauté the fenugreek seeds, onions and curry leaves. Add the fried drumstick pieces and mix well. Add the tamarind extract, non-fat milk or coconut milk and water, along with the curry powder and salt, to the pan. Cover and cook on medium heat for around 15 mins. Taste for salt and then increase heat and cook further for about 5 mins. Remove from heat and serve with hot rice or stringhoppers.